On Thursday, January 12, 2017 at approximately 5:10 p.m., officers were dispatched to the intersection of South Holly Drive and Western Avenue for a report of an accident. 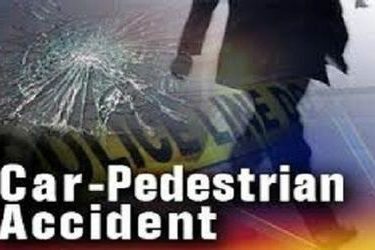 A pedestrian had been struck by a vehicle. Investigating officers found that a 2008 GMC pickup was turning south on Western Avenue from South Holly Drive and struck a 56 year old male in the crosswalk. The driver, a 29 year old male, did not see the pedestrian crossing Western Avenue in the crosswalk. The pedestrian was taken to Southwest Medical Center by Seward County EMS with non-life threatening injuries. The driver of the pickup was issued a citation for failing to yield to a pedestrian.